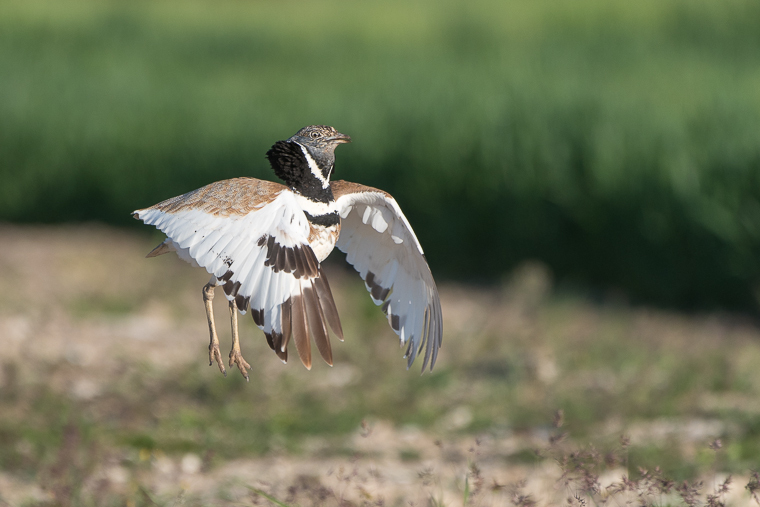 The Little Bustard is a seriously threatened bird, we are really worried about their conservation, and it will worth a specific post that we will write latter. Now we just will focus on saying that we have this year hides ready from now in Montgai. Our authorisation allows setting two hides in four different leks. So we can offer a maximum of eight seats for this amazing bird. 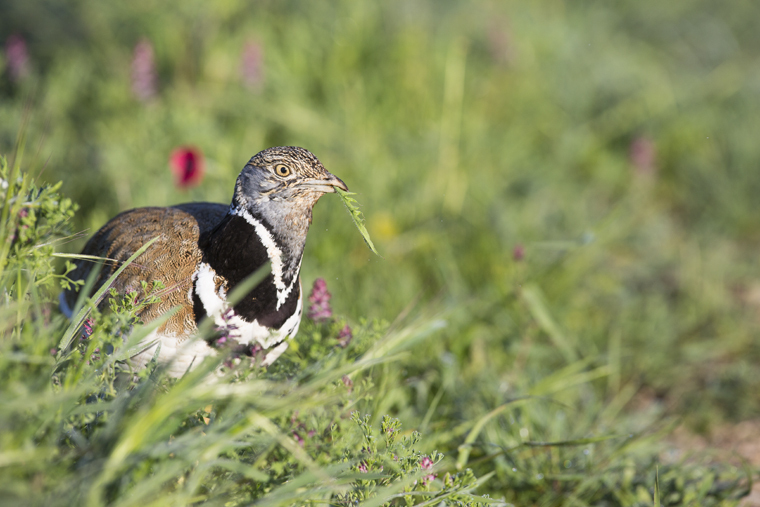 Our hides are individual facilities and from there you can get photos with different lenses from 300 mm to 500 mm, according with your preferences in terms of composition. 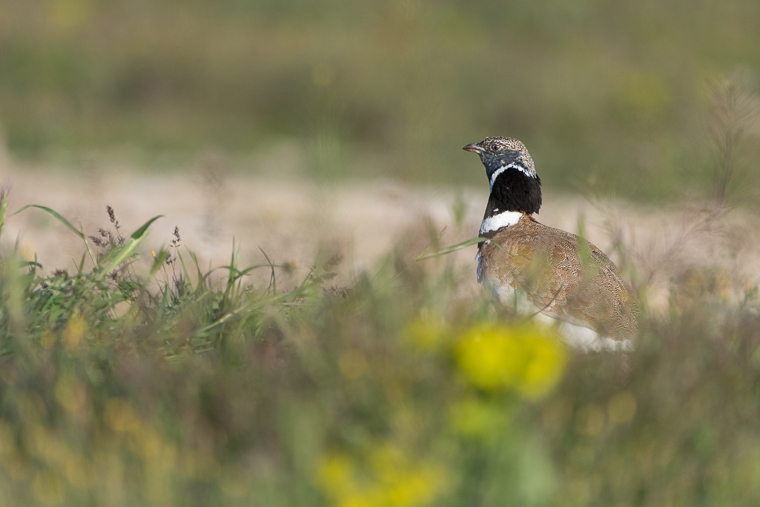 In this time the Little Bustard male is displaying in its lek. It uses to sing before the sunrise and until 10:00, more or less. Usually it hits the floor with its feet and then it jump, this is for sure the most photogenic behaviour it can show, but not the only one. 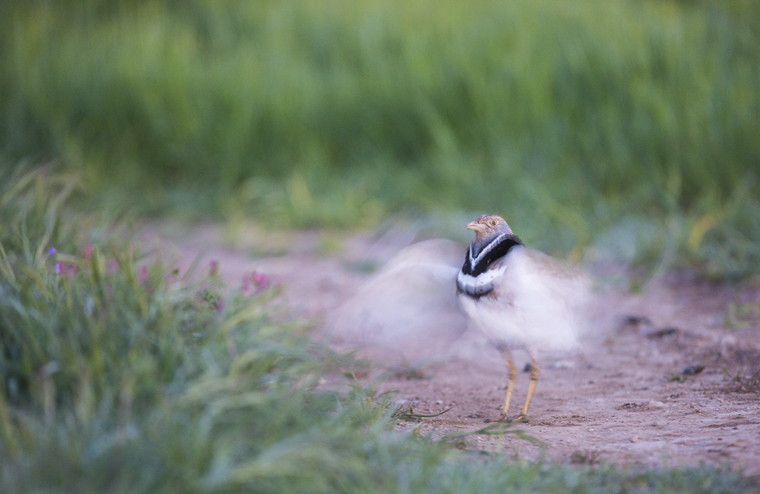 The wing flapping with the first light in the day, the singing male or even the bird in the luxury green field is something that you will not forget easily. So, we collect you in Montgai square at the agreed hour (around 6:00) and drive you to the hide. The picking up hour is around 10:00. Then you can go for a breakfast and some rest before facing the afternoon hides. 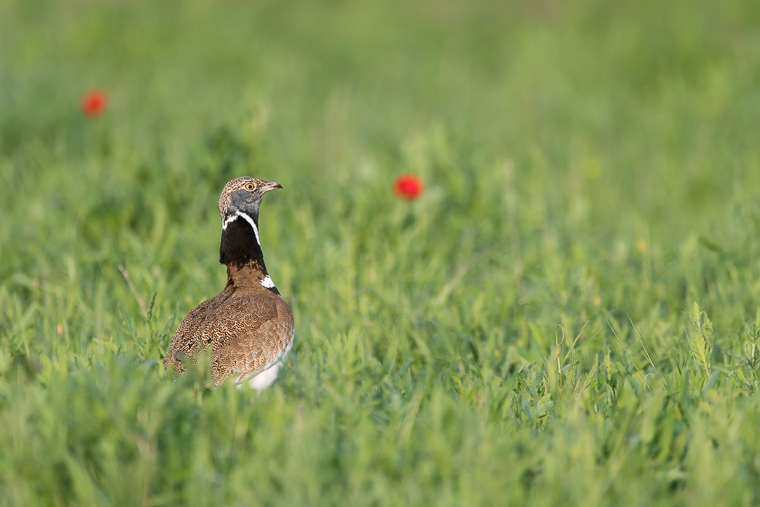 The Little Bustard season uses to be from mid-April to mid-May. What more can I do when there? 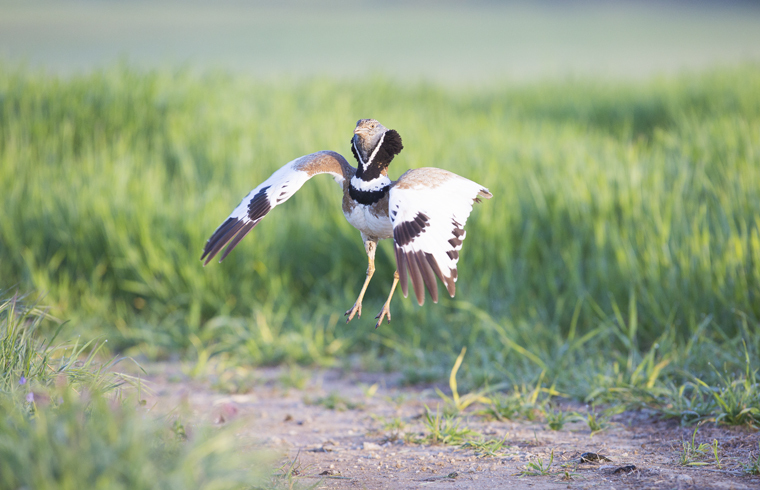 The Little Bustard hides are the kick off in Montgai set of hides. In this season in the afternoon you can try our fun drinking pool hide for two people or some of our Little Owl hides. Also available are the Bee-eaters or the Hoopoe. Usually the Stone Curlew is also available at this time, but better ask for it before booking, just in case. There are other possibilities not too far from there, but this is a matter for a different post.